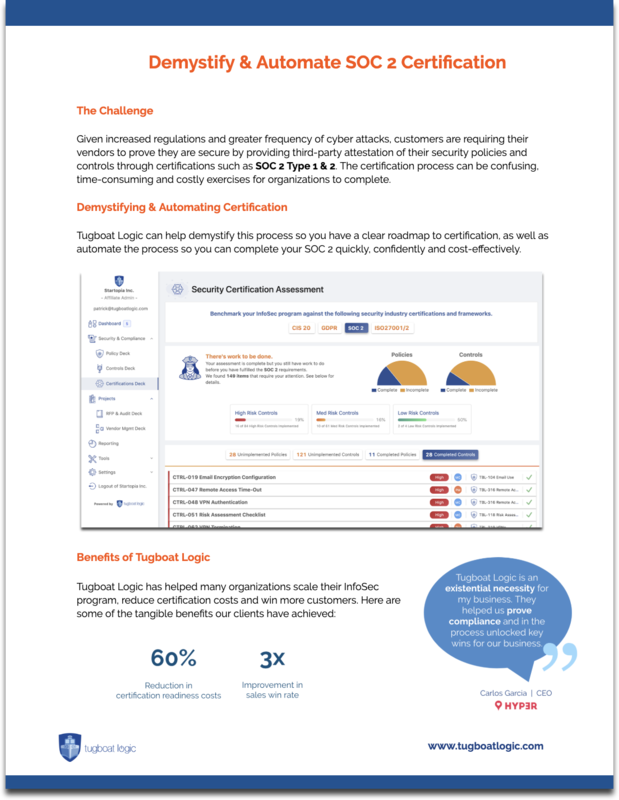 Jira Integration Data Sheet Scale your InfoSec Team with Jira & Tugboat Logic integration. 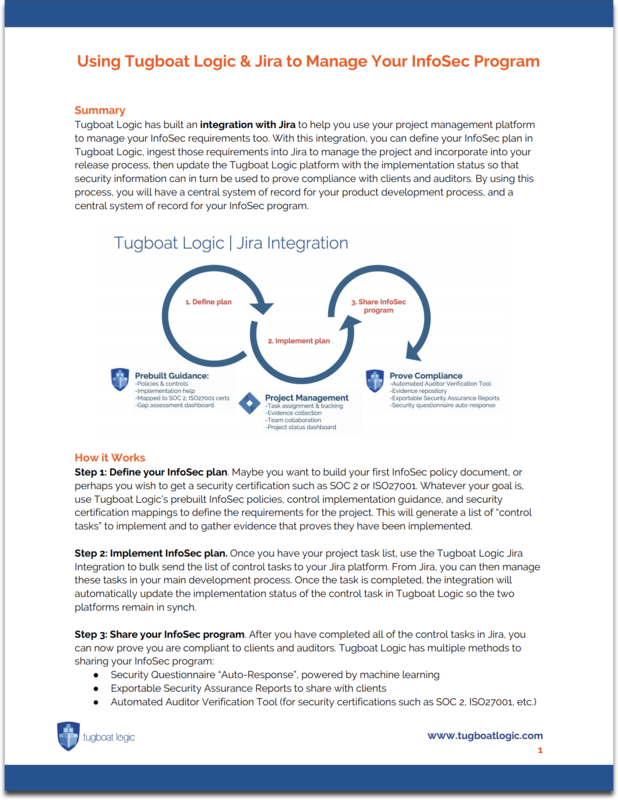 SOC 2 Certification Package Brochure Learn how Tugboat Logic can help you get prepared and certified for SOC 2 Type 1 and 2. 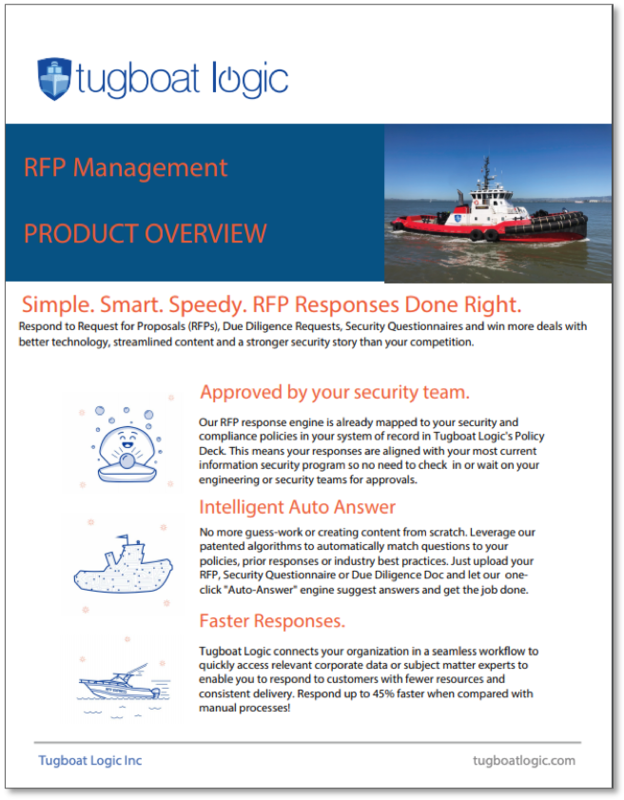 RFP Management Solution Brief Answer RFPs 45% faster and increase win rate by 300%. 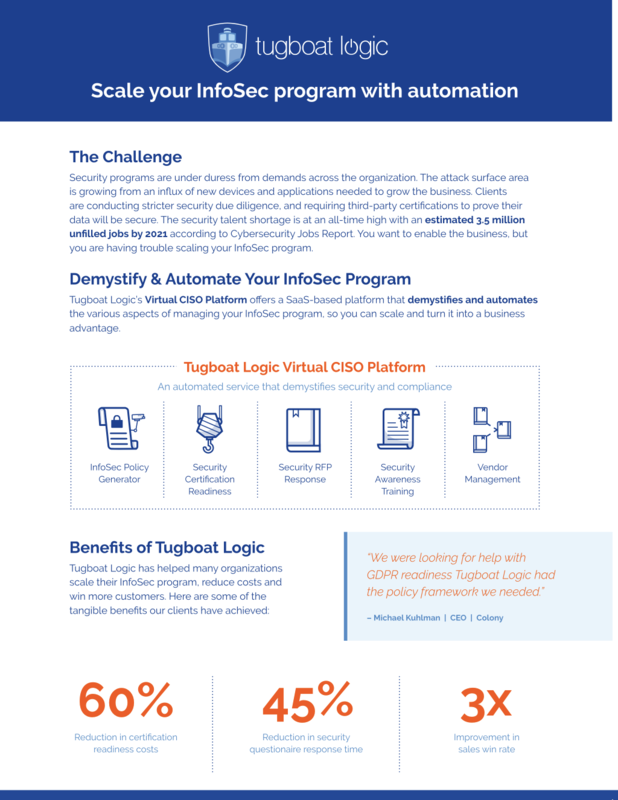 Tugboat Logic Solution Brief Learn how Tugboat Logic can help you scale your InfoSec program with automation.